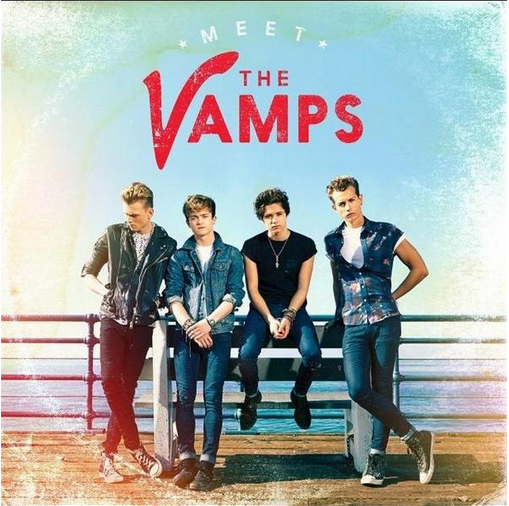 The time has come – The Vamps are finally releasing their debut album, “Meet The Vamps” in the United States! US fans have been waiting very patiently to get their copy of the band’s debut album and it’s finally here! The album will be officially released November 4th, 2014! There are several versions of the album available for you to choose from, including a special Christmas edition of “Meet The Vamps” available only at Target. You can pre-order the iTunes deluxe edition for special bonus tracks! Or pre-order the standard edition on Amazon or iTunes. With either version, you’ll receive a few tracks as instant downloads. Check out the official album art below. Check out the official iTunes track listing below. The Vamps will also be appearing on “The Ellen Show” on Thursday, November 6th with Demi Lovato. Make sure to tune in! Watch the official video for “Hurricane” now! The Vamps are touring Australia next January with Short Stack and they’re bringing AJR with them!